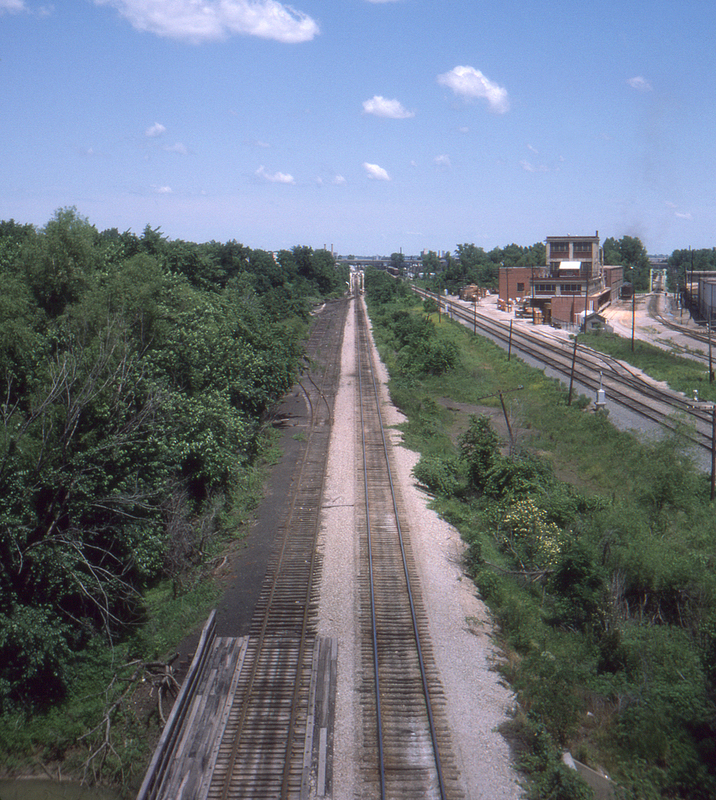 The Rock Island mainline into Kansas City, Missouri is seen in this view from the 31st Street Bridge. The line in the center is joint St. Louis San Francisco/Missouri Pacific trackage; the single track on the right is the Kansas City Southern main. In just five more years the Rock would disappear from the Official Guide, a victim of miscalculation and neglect.